::: Bill Gates said content would be king. So why are ad-funded services paying us so little? Bill Gates said content would be king. So why are ad-funded services paying us so little? Written by Music Business Worldwide — The following is an abridged version of a speech given by Geoff Taylor, CEO of the UK’s BPI, at the Music Futures conference in Newcastle earlier this month. I started thinking about this speech a few weeks ago, on Back to the Future Day – when social media went crazy celebrating October 21st 2015, the day that Marty McFly travelled to in BTTF II. It’s striking how much of the future they imagined has come true. Widescreen flat panel TVs and video calls; fingerprint scanners, headsets like Oculus Rift. And a scriptwriter recently revealed that the malevolent plutocrat with high-level political connections, Biff Tannen, is based on Donald Trump. They even had hoverboards, though in the movie they didn’t need wheels or burst into flames like a Vauxhall Zafira. Predictions about the future of recorded music have been somewhat less successful. When I joined the music industry in 1997, the future of internet distribution of music could be perceived only through a glass, darkly. But there was a sense of great excitement alongside the uncertainty. 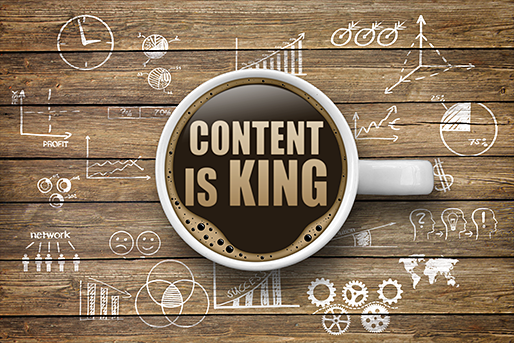 The previous year, Bill Gates had written an article called “Content is King” about the future of the internet. He wrote: “content is where I expect much of the real money will be made on the internet”. He believed that the Internet would unlock “remarkable opportunities” for publishers to distribute content worldwide, at basically zero marginal cost. He expected the “gold rush atmosphere” in the US to sweep the world as communications costs came down and a critical mass of localised content became available around the world. The AOL Time Warner merger in 2000 perhaps marked the high water mark for this tide of optimism and by the early 2000s, despite the launch of the iPod, the growth of home music copying and the impact of Napster led many commentators to predict the death of the recorded music business. Not only was piracy a threat that could not be brought under control, but labels would inevitably be disintermediated, with artists and fans connecting direct using new internet platforms. A popular quote – actually a misquote – from US author Stewart Brand encapsulated a prevailing orthodoxy that “Information wants to be free”. Everyone simply forgot the rest of his quote, that information also wants to be expensive because it’s so valuable – and that the right information in the right place changes your life. The music industry was seen as the canary in the coalmine in the democratisation of content. And you know what happened to the canaries. But despite the many challenges that we continue to face, that vision of the future proved to be equally incorrect. The pessimists underestimated the ability and willingness of record labels to transform their business models for a digital age and just how important their role would become in helping fans to navigate the tornado of content that the internet unleashed. Labels have licensed more than 400 digital music services all around the world – with more in the UK than in any other country – offering music in every way possible: downloads, free streams supported by advertising, paid subscription streams, bundled music services like Amazon Prime, interactive webcasts, internet radio services. It is widely acknowledged that the record labels are at the forefront of the digital content revolution, and after a slow start, have adapted remarkably well. More than 60% of label revenues so far this year are from digital. And music is everywhere. 15 years ago there was no such thing as an iPod, now there is no phone that can’t store or stream music and everyone walks, jogs, rides and flies to the sound of their favourite songs. Music truly surrounds us. Labels’ reinvention of their businesses has also encompassed the services they provide to artists and to fans. The complexities of worldwide digital distribution and promotion mean that the overwhelming majority of new artists – indeed nearly all who go on to achieve sustained success – want the support of a record label to help them build their career and reach as many fans as possible. As a result, the consumption of recorded music in which record labels invest is soaring, driven by the rapid uptake of streaming. We are on course for more than 50 billion streams of recorded music this year in the UK – that’s more than 1500 streams every single second. Creatively too, British music is on a high. Last year UK artists accounted for 1 in 7 of every album sold around the world. We are the largest exporter of music after the United States, and our record of breaking new artists internationally is extraordinary: just think of the success of Ed Sheeran, Sam Smith, One Direction, Adele, and Coldplay to name a few. Last year, five of the top ten best-selling records in the world were by British artists – six if you count AC/DC! And for six of the last eight years, the top-selling global artist album has come from a British act. And we are performing even more strongly at home: last year, for the first time since the charts began British artists accounted for all 10 of the top 10 artist album sales in the UK. So why is it that the UK enjoys such spectacular success in music? The most important factor is of course the exceptional talent and originality of our artists, but this is strongly supported by the huge risk that UK labels take investing heavily in A&R and marketing for new British artists. As we recently announced, British record labels invested £178 million in A&R in 2014 – equivalent to a quarter (25.4 per cent) of their annual revenues – while a further £157 million supported label marketing and promotion (22.5 per cent of label revenues). This combined label outlay of over £335 million last year means that just under half of record label revenues (47.9 per cent) go directly into signing, developing and marketing artists. Even if you strip marketing out of the equation, it is notable that the percentage of revenues that labels invest in A&R, the music industry’s R&D, is much higher than many industries that are renowned for their innovation, such as the biotech, software, pharmaceutical, automative and aerospace industries. But despite this success and the enormous demand for British music, the future we are experiencing in 2015 has not achieved Bill Gates’s vision of an explosion in economic value. Indeed, despite the huge increase in consumption, some structural distortions in the digital market mean that UK retail revenues from recorded music are down 51% from their peak. This represents a huge missed opportunity for UK Government. The creative industries, of which music forms a part, are of exceptional strategic importance to the UK. They employ 1.7 million people, contributing £77 billion a year to the economy and are growing faster than any other sector, by 10 per cent year on year, with exports growing even more quickly. But as the example of music shows, while the digital economy can help creative businesses to reach more people more easily with the product they create, creative businesses can only succeed commercially if a policy framework is established that allows investment in creativity to generate a fair return online. This is not a question, as some would suggest, of choosing between growth from digital platforms and growth from the creative sector. Rather, a healthy creative sector generates the content that powers the growth of the digital economy. Bill Gates understood this synergy in 1996. He wrote: “For the Internet to thrive, content providers must be paid for their work”. He noted the challenges of monetising digital content but concluded “those who succeed will propel the Internet forward as a marketplace of ideas, experiences and products – a marketplace of content”. To realise that vision, policymakers need to help address the fundamental dislocation that has occurred online, breaking the link between the consumption of creative content and its monetisation. The distortion manifests itself most obviously as the continuing challenge of digital piracy. The music industry has been right at the forefront of tackling this problem. In addition to transforming the business to make our whole catalogue legally available on-demand for free, we have taken a great deal of action to make it harder for businesses to make a profit from stealing music. BPI sends more than 200,000 notices every day to Google to remove illegal links to music from its search engine – 177 million to date – and has removed tens of millions of files from their source websites. We have brought legal action to block access in the UK to 63 of the most prominent illegal download sites and hundreds of proxies, and we have worked closely with the City of London Police, advertisers and payment providers to starve illegal sites of revenue under Operation Creative. But on top of introducing great legal services and taking enforcement action, we think it is very important to go to the root of the problem and encourage more fans to think about the choices they make online, and try to change attitudes towards accessing content illegally. We hope to get the message across that everyone can make a personal choice to support creativity and great entertainment, or choose illegal sites and contribute nothing. This is one step towards changing the perception that getting music or other content illegally is socially acceptable. So with the rest of the Creative Industries and the Government we have recently launched the “Get it Right from a Genuine Site” campaign. You may have seen the TV ad during the X Factor just over a week ago. That is the beginning of a campaign that will cover cinema, outdoor, digital and print media. Do check it out online. And with all of this work, we are beginning to make a serious difference. There has been a 35% decline in UK illegal downloading over the last two years. We are winning people over with new services, whilst tackling the criminal sites and illegal operators. The challenge is far from over. So far, the mobile environment is proving less susceptible to piracy for a number of reasons, but we face a fast-growing problem of stream ripping of YouTube videos to listen to offline. Moreover, search engines continue to list pirate sites prominently in many search results, despite the huge volume of notices we send them, and while they have introduced some welcome measures to demote the worst pirate sites, they refuse to demote sites courts have ruled illegal or to promote licensed sites to help them rank ahead of obviously illegal competitors. So there is much more to do to eliminate the huge market distortion caused by digital piracy. And there is a second, but less obvious, major distortion that severs the link between the explosive growth in the demand for music and the revenues that flow back to music creators. This is the European legal framework, which enables some music services to hide behind liability “safe harbours” to avoid taking a licence, or to pay royalties at well below a fair commercial rate. The rules and regulations for online commerce were set out in a different era. Legislators deliberately adopted a light touch approach, intending to favour technological disruption and assuming that the use of copyright content would generally be legal, but that mistakes might be occasionally be made. It was also assumed that the old power structures governing the distribution of content would be dispersed, not, as it has turned out, concentrated in a few global players. So safe harbours were established fifteen years ago to allow platforms that were purely “passive intermediaries” to host user uploaded content without being paralysed by legal issues of liability, provided they had mechanisms in place to deal with infringement. But as the huge volume of notices sent by the BPI amply demonstrates, the notice and takedown system for removing infringing content is fundamentally broken, and the safe harbours are being misused by services that actively market and distribute music to consumers to get an artificial commercial advantage over digital music services that negotiate arm’s length royalties. The net result of this is that ad-supported services contribute only 3% of recorded music revenues, despite representing five times as much in terms of consumption. To put this into perspective, UK record labels earned more revenue last year from vinyl than they did from the 14 billion music streams on YouTube. It’s crazy. The Digital Single Market review by the EU Commission provides an opportunity to look at the question of safe harbour, and to clarify the intent of the regulations, to ensure that there are fair negotiations for commercial use of music and to help us tackle the unlicensed services that hide behind a broken notice and takedown system. The Digital Single Market review also needs to establish clear responsibilities for intermediaries, such as advertisers or search engines, so they don’t continue to assist illegal sites in building their businesses. We would not tolerate blatantly fraudulent shops on our high street selling counterfeit goods, why do we tolerate them in digital high street of search results? Recent ONS statistics on cyber-crime shows there were 5.1 million incidents of fraud in the last year, with 3.8 million adult victims in England and Wales. The safety of consumers online must be improved, and rolling back the online black market is an important element in achieving this. Indeed, there is a need for a concerted effort by all tech intermediaries to work to reduce criminality online and support a legal digital economy. If this doesn’t happen voluntarily, it should be required by Governments. In this speech I have called for help on a number of fronts from policymakers to help the music industry and the wider creative industries achieve their true potential. It’s only fair to recognise that over the last few years, the UK Government has done some excellent things for music: helping independent artists and labels export through the Music Export Growth Scheme; funding the Police Intellectual Property Crime Unit; funding the Get It Right from a Genuine Site campaign. We will be watching very closely on 25th November to make sure the Government continues its commitments, and does not take the opportunity to ditch the small yet critical amount of support that it gives to the music industry. Moreover, we will continue to push the Government to extend the creative industry tax credits to music, to level the playing field for investment across the Creative Industries. If these things are done, the music industry will continue to invest heavily in its future and to innovate in how it connects fans and music online. The Hill Valley of the creative sector will thrive, not descend into dystopian chaos. Donald Trump will not be President. The economic success of British music will come to match its creative brilliance. The future that Bill Gates foresaw in 1996, of an Internet where technology and content grow in harmony, is within reach. All that is required is the political will to make it happen.